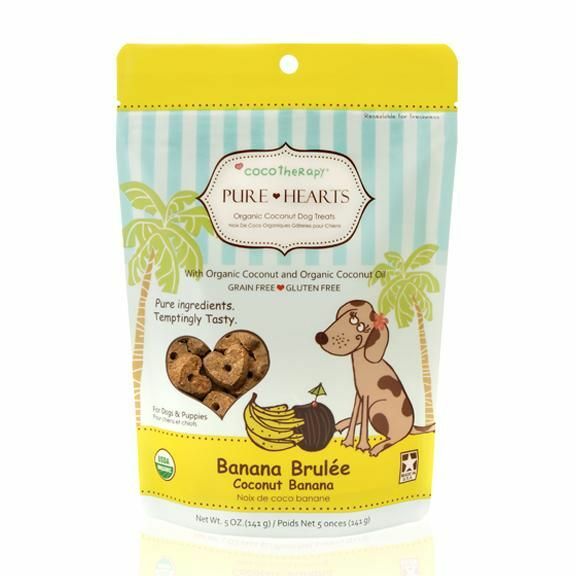 CocoTherapy Pure Hearts are vegan, grain and gluten free, dairy free, no eggs, and made with no preservatives, colours, or artificial flavours. This means dogs with allergies and sensitive tummies can enjoy them and benefit from them as well! Banana Ingredients: Organic coconut, organic buckwheat flour, organic coconut nectar, organic coconut oil, organic banana, organic Ceylon cinnamon. 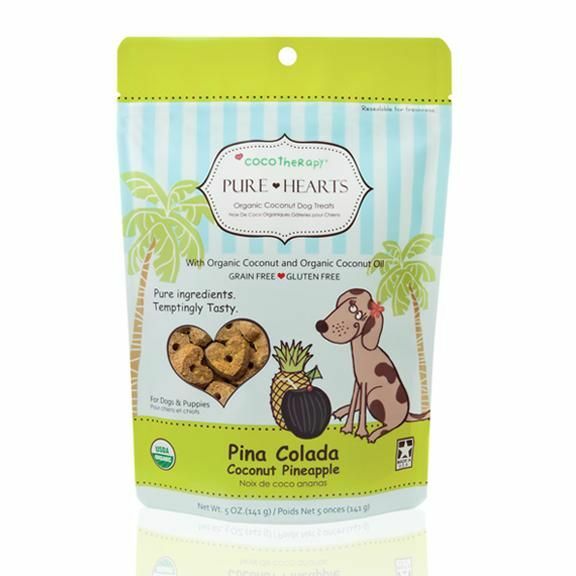 Pina Colada Ingredients: Organic coconut, organic buckwheat flour, organic coconut nectar, organic coconut oil, organic pineapple.